We provide a number of competitive sites like Amigo Loans if you are looking to borrow up to £12,000 and repay over 7 years. Guarantor Required. Buddy Loans are the new, friendly guarantor lender. Borrow up to £7,500 with no fees and a friendly service. All credit considered. Homeowner and tenant guarantors accepted. Loan Amount£1,000 to £7,500Representative APR49.9% APR variable (£1,000 to £7,500)Loan Term1 year to 5 years The Representative APR is 49.9% APR (variable) so if you borrow £2,500 over 24 months at a rate of 41.16% p.a (fixed) you will repay £154.54 per month & £3,750.17 in total. TrustTwo is one of the most popular guarantor lenders in the UK. Customers can borrow £500 to £10,000, repay over 5 years and guarantors accepted include homeowners, tenants and those living with parents. Apply below: Loan Amount£500 to £10,000Representative APR49.5% APR (£500 to £10,000)Loan Term1 year to 5 years Representative Example: Borrowing £4,000 over 3 years at an interest rate of 40.9% p.a. (fixed), you will repay 36 monthly payments of £194.55. Interest payable £3,003.80. Total repayable £7,003.80. Representative 49.5% APR. One of the fastest loan applications. Immediate decision and same day payout. A very reliable lender with no upfront fees and all credit ratings considered. Loan Amount£1,000 to £10,000Representative APR49.7% (£1,000 to £10,000)Loan Term1 year to 5 years Representative Example: The Representative APR is from 49.7% (£1k to £10k) so if you borrow £3,500 over 3 years at a fixed rate of 41.4%, you will repay £170.56 per month & £6,140.16 in total. TFS Loans let you borrow up to £15,000 and repay in monthly instalments. They offer low rate guarantor loans and have been around since 2009. Loan Amount£1,000 to £15,000Representative APR39.9% APR (for loans £8,000 - £15,000)Loan Term2 years to 7 years Representative Example: The Representative APR is 39.9% APR (fixed) so if you borrow £8,000 over 5 years at a rate of 39.9% p.a (fixed) you will repay £279.20 per month & £16,752.00 in total. Loans like Amigo refer to guarantor loans where the borrower requires someone to guarantee that they will cover the cost of repayment if the individual is unable to repay. Loans similar to Amigo include those from Glo, George Banco and UK Credit. What characteristics will loans like Amigo have? The lenders like Amigo typically charge an APR ranging from 40-50%. The APR stands for Annual Percentage Rate and is the standard measurement for financial products over an annual period. By all other loan products using APR, it is very easy to compare the cost of a product. Usually the lenders will quote you a ‘representative APR‘ – this is the rate that must be granted to at least 51% of customers. You may not get that exact rate because the lenders will take things like your credit score and that of the guarantor into consideration when assessing the rate to charge you. The next thing to look is the length of the guarantor loan. The duration is typically 6 months to 5 years. How long you will be able to borrow for will depend on how good your credit score is and how good the credit score is of your guarantor. Usually those customers that have a guarantor with very good credit, not only get better rates but can also borrow the loans for longer – this is because having a guarantor with good credit is less likely to lead to a defaulted loan as the guarantor has probably demonstrated a very good track record to maintain a good credit score. Besides this, being a repeat customer with that lender shows loyalty and therefore, they are more likely to grant you a loan for longer. A further key ingredient is the amount you are allowed to borrow, typically ranging from £1,000 to £7,500. Similar to the duration of the loan, those applicants who have a strong guarantor to support them will be likely to have access to extended borrowing. Furthermore, being a repeat customer increases your trust rating with the lender which could make you eligible to borrow a higher amount. Naturally, your affordability is key. This is how much you earn each month and how much disposable income you have. Responsible lending practices for guarantor lenders insists that customers are granted an amount that they can afford to repay and not put pressure on their finances. High income earners are therefore more likely to be able to borrow the maximum £7,500 compared to low earners. Loan companies like Amigo work in a very similar way. Applicants have to submit their application on the lender’s website and enter the details of their guarantor. The lender will run a few standard credit checks to see if the individual is eligible for a loan based on their own credentials and those of the guarantor.If successful, the customer and the guarantor alike will receive a phone call from the lender to confirm a few details and to highlight that they understand the terms of the loans (the guarantor is required to cover the cost of the loan if the main borrower defaults). As per the final stage, the candidate will receive a quote and a loan agreement and this will need to be signed by both parties to complete. The funds are transferred within 24 hours to the guarantor’s bank account – this is so the guarantor can still change their mind if they want to but also because it is a responsible approach to ensure that the loan is really for the intended borrower. Websites like Amigo are useful for customers with bad credit. If you have a poor credit rating because you have not been able to keep up with repayments in the past, it can negatively impact your credit score and make it very hard to access finance when you need it. What is great about sites similar to Amigo is that give a person the chance to prove themselves with the help of a guarantor who could be a family member or friend. If the customer can repay their loan on time, the information is fed back to credit reference agencies so that the individual’s credit rating will improve. We feature over a dozen companies like Amigo so consumers have a choice of loans. Our site is completely free to use and we won’t take down any of your details and pass them onto third parties companies. We constantly update our website with guides and tips so you can really understand the ins and outs of guarantor loans when you apply. Guarantor Loan Comparison is one of the best websites for sourcing a guarantor loan. After crawling the internet for the best deal, most information and guidance, I had finally come across this website, which enabled me to understand the entire process, and find a great guarantor loan. Thanks for producing a great product. Was looking for a loan for business purposes and was able to get the lowest rate and amount for what I needed. Very simple and happy with the service. A very straightforward and easy to use comparison site. The information on the site is very clear, so you know what to expect. It made the whole process of comparing loan guarantors incredibly easy, and it managed to give me all the information I needed to make my decision. Thank you so much! Was a very easy process. I was looking on Google and this company came up and they helped me find the company and loan that I needed. Amazing staff and full of the know-how I needed. Great service and a breath of fresh air. 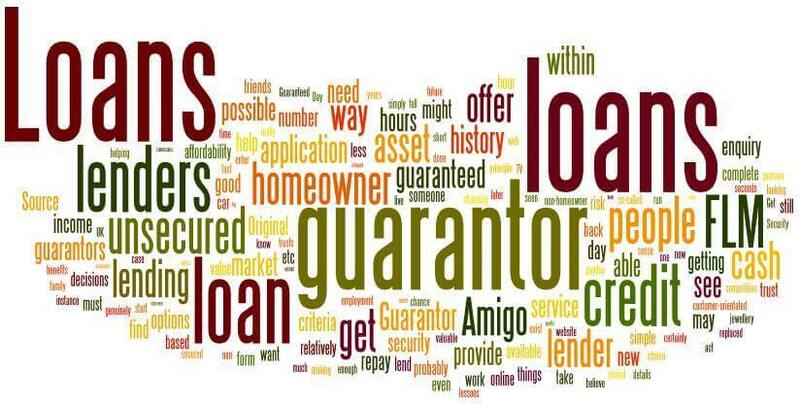 Definitely recommend Guarantor Loans Comparison! Was looking for a loan and it was handy because they had a list of lenders that accept tenant guarantors. I was able to secure the money I needed for a new car and have started making the repayments. Was the easiest way to find what I needed and very pleased with the outcome.